Size of this preview: 800 × 437 pixels. Other resolutions: 320 × 175 pixels | 640 × 349 pixels | 923 × 504 pixels. 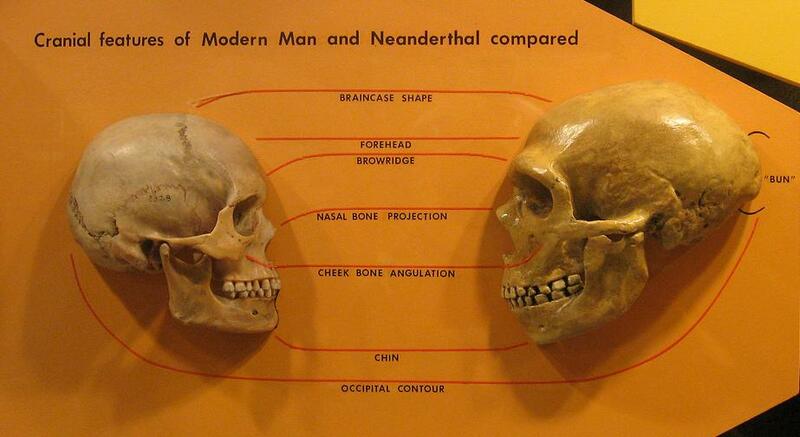 This file has been superseded by File:Sapiens neanderthal comparison en.png. It is recommended to use the other file. Please note that deleting superseded images requires consent. This image, originally posted to Flickr, was reviewed on 24 May 2009 by the administrator or reviewer Abigor, who confirmed that it was available on Flickr under the stated license on that date. current 17:38, 5 June 2010 923 × 504 (56 KB) Honza.havlicek Uploaded larger version from Flickr.